The Legacy of Zelda - GeekForce | Experience The Power Of The Geek! 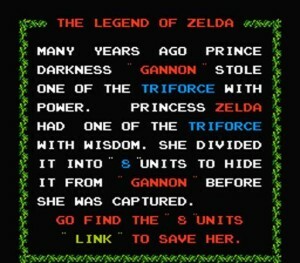 Zelda has been around since the dawn of Hyrule, or for over 30 Years based on however you want to interpret it. The ever popular series of games have kept gamers questing well before the rise of RPG’s & MMORPG’s, and at a time where platform based games ruled the roost, Zelda was something different. 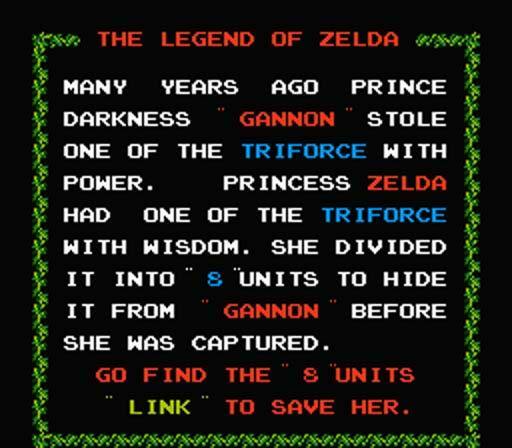 ‘The Legend of Zelda’ was first released in 1987 on the Nintendo Entertainment System against games such as Mario Bros, Paperboy and a whole host of Film inspired concepts, but it was unique. It wasn’t fast paced, nor were you trying to jump around onto various platforms or shoot a gazillion bullets everywhere, it was a questing game. I truly believe Zelda was the first story based game for the masses, some people before they go to bed they would read, I however would play Zelda for 30 mins (yes, kids had time allowances on playing computer games a couple of decades ago) and that was my book. I had to wait until 1989 to experience Zelda and it wasn’t on the NES, it was in fact on a Game & Watch, the predecessor to the Nintendo Gameboy. Every opportunity I had I would be playing Zelda on a tiny 4” x 2” fuzzy, sunlight sensitive, LCD screen and to be honest there wasn’t much to it. I choose it in the toy shop purely for the name, other friends had Donkey Kong and Mario, and I wanted to be different and never looked back. It was from this small hand held device which took the very obscure LR44 Size 50 batteries, in other words the tiny round ones which were a pain to source and buy, where my love of Zelda began. I soon however upgraded and added The Legend of Zelda to my NES collection (and yes I will add, it was the Gold cartridge version and stood out like a jewel in my NES collection), and all my other games continued to gather dust while I obsessively continued my quest. Here you were controlling this tiny little elf call ‘Link’ (it is a preconception that the elf was called Zelda) where you had a birds eye view of his head, moving in a grid like fashion around the screen, no multi combo moves, just a sword and a shield. The game made you think and where some gamers may have found this tedious I relished in the challenge, there were no websites to help you ‘cheat’ or YouTube clips for guidance, and you either cracked it or failed or in my case pestered your Dad to help with the answer (which normally resulted in a very frustrated parent). 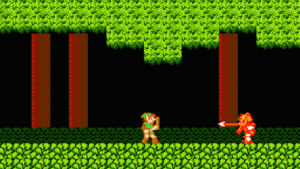 Zelda was popular and quickly followed with ‘Zelda II: The Adventure of Link’ on the NES, and the original Zelda on the Gameboy (minus the colour), and the franchise began to grow. For me it wasn’t until the Zelda franchise hit the Nintendo 64 that you could really immerse yourself into the world of Hyrule. The Nintendo 64 offered 3D gaming and for the first time you were able to see Link in all his glory of a green peaked hat and matching green tights, in ‘Zelda: Ocarina of Time’. You were not limited to ‘grids’ and had Hyrule in all its glory as an ‘Open World’ platform, you could experience everything, and as usual the game was built around the story. Ocarina of Time was followed by ‘Zelda: Majoras Mask’ which subject to you own opinion was probably most popular game of the franchise. It has subsequently been revamped and re-issued and available on Nintendo’s latest consoles, the game was first introduced in 2000, showing you how popular the game is. With Nintendo’s dominance in the pre-teen/teenager market waning over the last decade, their most recent consoles have not quite been able to recreate the success of the Zelda franchise on the NES or N64. There is still a cult following and a demand for the special edition Nintendo 3DS Zelda edition continues to this day, but as a Zelda fan and Nintendo swaying to a more Junior market I feel Zelda will be a story of legends in the years to come……….however I hope not. To this day I never managed to complete Zelda: Links Awakening, it is on my bucket list but alas a small mortgage is required to acquire the game these days, prices in excess of £100 have kept me at bay, but as they say you can’t put a price on memories (try telling that to my wife! ).